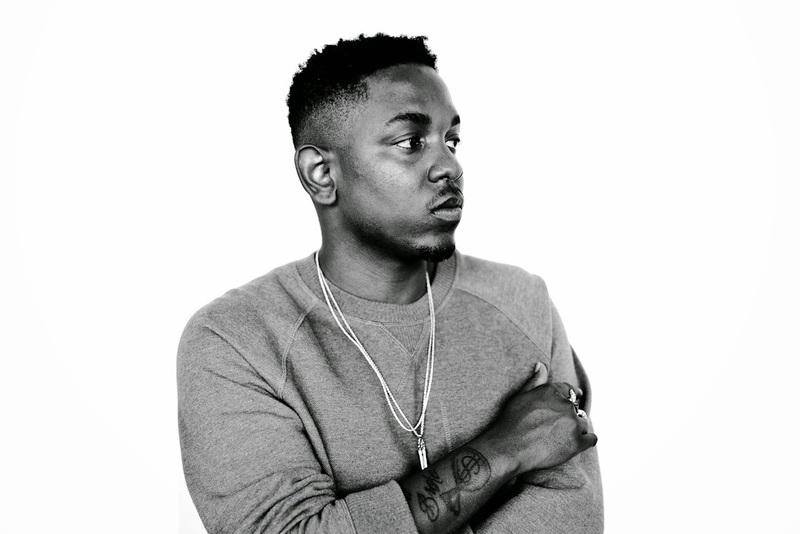 Pitchfork's annual music festival in Union Park, Chicago have announced their schedule for each day, July 18-21. There are three, color-coded stages - check it out below, and although 3-Day Passes are sold out, you can still buy single day tickets here. Trust us, it's worth every penny. Keep checking back here at FPT for our second annual Pitchfork Playlists, Previews, and of course, post-festival coverage! 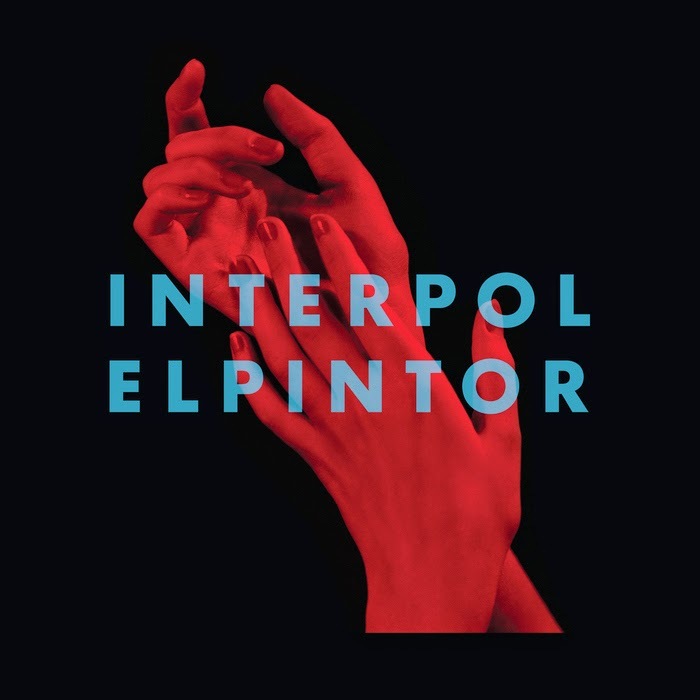 The album officially arrives on September 9th (Matador). 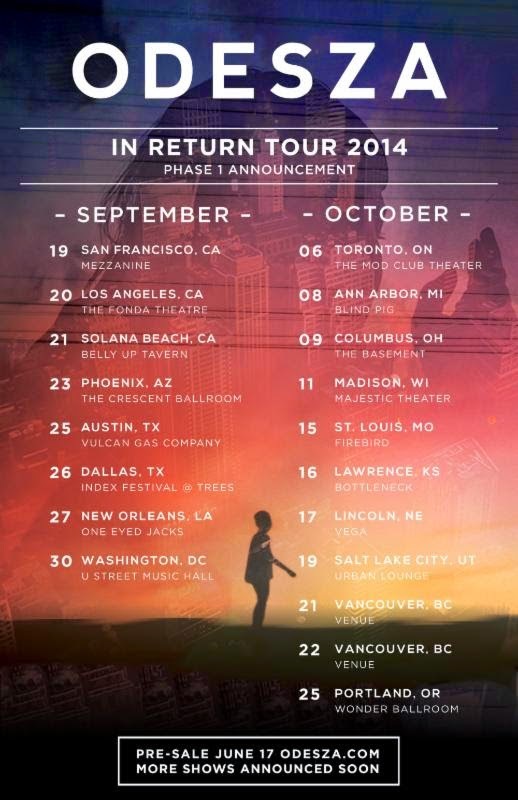 Electronic up-and-comer ODESZA has announced a Fall headlining tour, the dates can be seen below. ODESZA has made a name for themselves recently, remixing such major electro-artists like Pretty Lights and Ki:Theory and putting such good spins on them, many claim the remix to be better than the original. They're fresh off the release of his My Friends Never Die EP, which can be downloaded for free at ODESZA's website (but as always, consider donating a few bucks to help contribute to the cost of production). You can check out the video for the title track after the tour date announcement graphic. Fans of ODESZA can also catch them opening for Bonobo this summer, Milwaukee will be privy to check out that incredibly promising show when it comes to Turner Hall Ballroom on July 9th. FPT Electric Forest Artist of the Day - "St. Lucia"
St. Lucia came to be when South African native, Jean-Philip Grobler, looked into the past drawing inspiration from the greats such as: Fleetwood Mac, Peter Gabriel, and Madonna among others. Currently based out of Brooklyn, St. Lucia began to experiment, teaming up with friends Nick Brown, Ross Clark, Nicky Paul and Patricia Beranek to perform live. 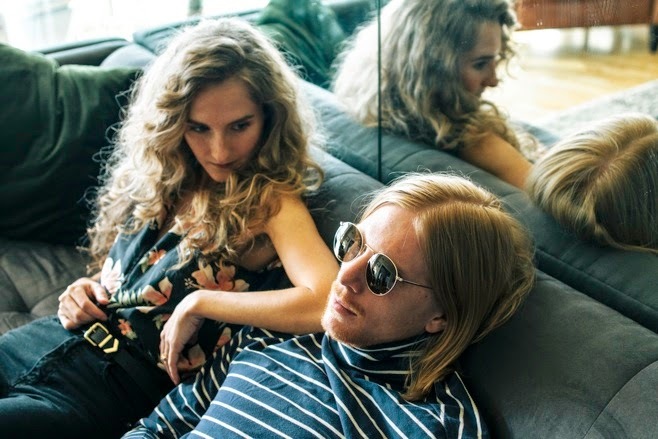 With 2012’s September EP and the Self Titled EP behind them, the synth-pop outfit brought their dreamy nostalgic pop to When The Night, there debut full length, which can be heard on the single “Elevate” below. Join us at the on Sunday June 29th from 7:15pm - 8:30 pm set at the Sherwood Court Stage. For more info on St. Lucia visit the official EF Artist Page and enjoy the tunes below. FPT Electric Forest Artist of the Day - "Poolside"
Aside from headlining acts, some of the most fun and memorable performances I have stumbled upon over the years at festivals have been at smaller side stages, often at obscure times. And, while I would never tell you which bands you NEED to see, with the Festival just under a few weeks away, us Fake Plastic Tuner's have a few recommendations that will be worth your while. With that being said, let's get into it. The Dance daytime disco chillwave duo from Los Angeles have been on the FPT radar for sometime and we are jumping at the opportunity to see them. The Duo released Pacific Standard Time in 2012, featuring "groovy disco sounds," perfect for a summertime 12:30am - 1:45am set at the renowned Forest Stage. 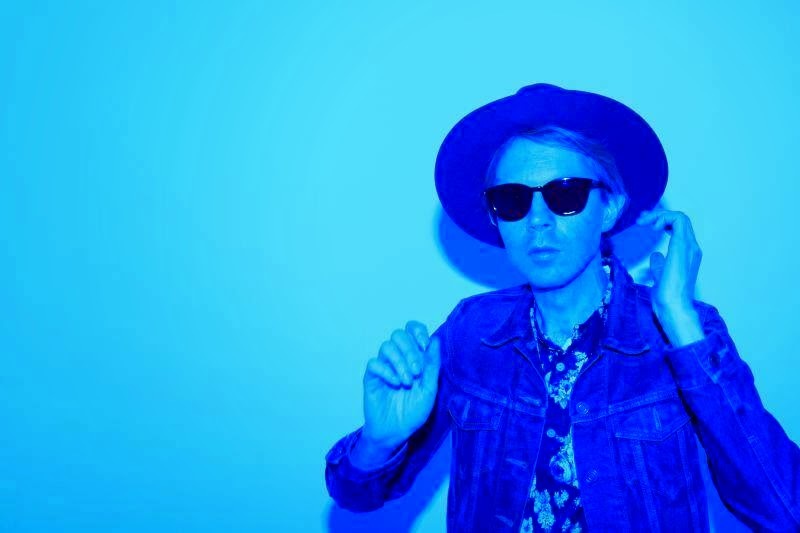 For more info on Poolside visit the official EF Artist page and enjoy the tunes below. 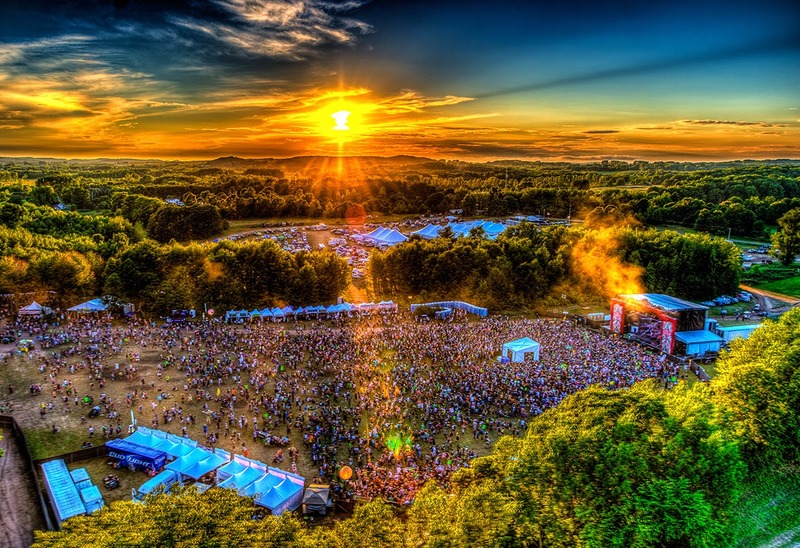 Each summer thousands make the voyage to the the Double JJ Ranch in Rothbury, Michigan for the "ultimate music and camping festival" known as Electric Forest. Featuring an unparalleled community integrated with music, art and the Sherwood Forest with its wide variety of surprises, Electric Forest is often described as a festival which must be experienced to be fully appreciate and I for one, found that out first hand at EF 2013. First and foremost, Electric Forest 2014 features a carefully curated diverse lineup welcoming back The String Cheese Incident who are slated to play three performances with a special collaboration from Ms. Lauryn Hill otherwise known as "The Miss Lauryn Hill Incident." Other headliners include STS9 (2 Shows), Cut Copy, Flying Lotus, Stephen Marley, Aloe Blacc, Moby (DJ Set), Classixx, Tycho, Art Department, Poolside, Steve Angello, Eoto, Rac and St. Lucia (to name a few). While the music may be the main driving attraction, there is much more that meets the eye with EF. 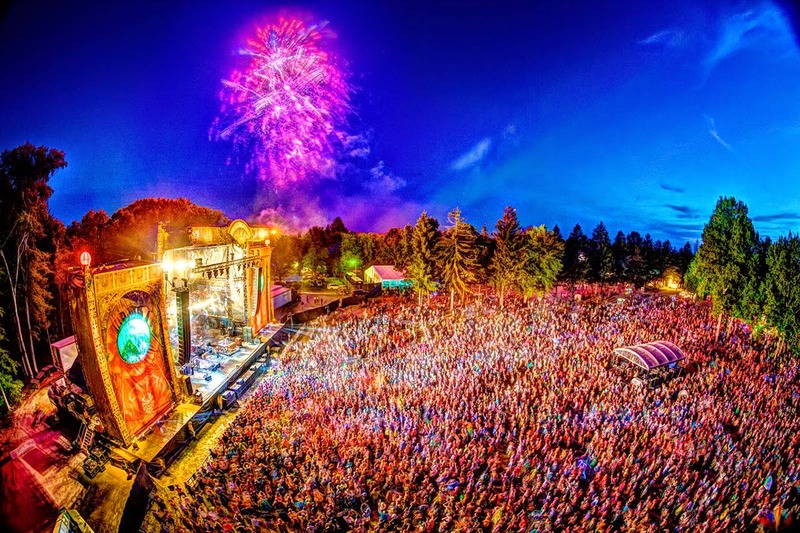 With a magnitude of camping music festivals happening around the county, Electric Forest easily sets itself apart with a large scale of programs and offerings such as the Plug In Program, Electricology and the Sherwood Forest. 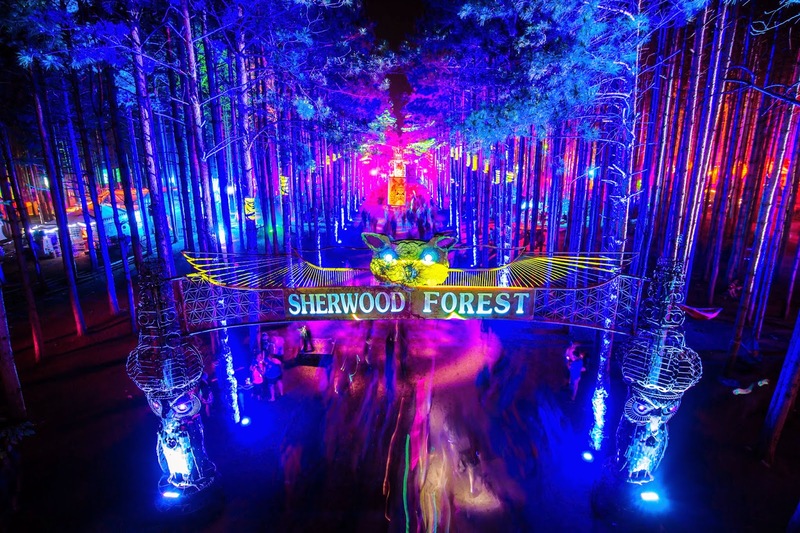 The famed Sherwood Forest is the heart and soul of the festival, described as "an experience within itself." By day, kick your feet up and relax in one of the many hammocks scattered within, enjoy the various sculptures and/or the performances happening throughout. As the sun begins to set, let the extravagant light display carry you away into surprise performances and parties deep within the woods, such as the renowned "Silent Disco" or the "SolLun" Solar/Wind Powered Whiskey Bar. The various stages such as the Observatory and Forest Stage feature a unique intimate space to enjoy music throughout the day/night, and are NOT to be overlooked. As the morning draws near, you may want to utilize the Daily Yoga session instructed by the professional Hannah Muse, a veteran of the practice. Her teachings fuse a variety of physical poses, while nourishing and strengthening all those positive EF vibes we've all worked so hard to keep going. In all seriousness, I would strongly suggest utilizing this free festival service, but if Yoga isn't for you…there is always Psyhedelic Friendship Bingo, so be sure to pack your daubers! Last, but not least is the Electrocology Program, which is a fun way to keep your campsite clean along with your neighbors, and in return will keep the festival grounds clean. Within the campgrounds and festival gates, pickup trash bags to earn EcoPoints, redeemable at the Electrocology Store located at the entrace and near the Ranch Arena. These are the ONLY places to win signed posters and other official goodies, although the green team will be on the hunt for good environmentally conscious deeds all weekend to handsomely reward you with prizes such as: Custom EF Hammocks by Eagle Nest Outfitters, Custom EF Daylite pack by Osprey, Custom EF Eco Vessel Water Bottles, Nothing But Shades Sunglasses and Solar Go Batteries. To learn more about the festival and other Plugin Programs such as the Electric Glen!, The Wounded Warriors Program (very cool program inspired by veterans), Dome of Dance, The Queens Hunt, Kyle Hollingworth's Brewru Experience, Ultimate Camp and the Conscious Alliance Food Exchange visit the official Electric Forest and Plugin Progam site. Otherwise, we'll see you in the Forest! Anthony Hall | 12th Planet | After Funk | Alex Metric | Anders Osborne | Andy C | Andy Frasco & the U.N. 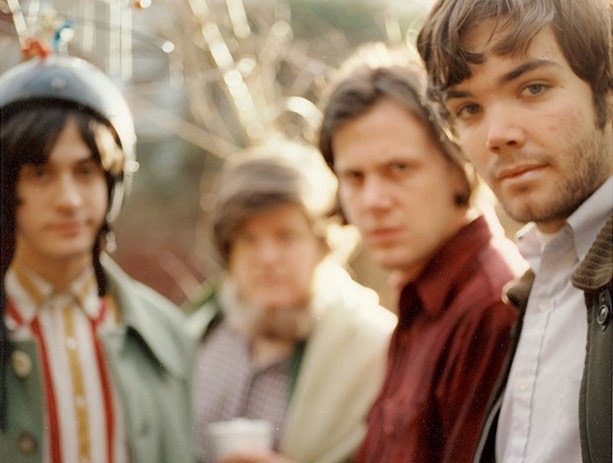 The Felice Brothers brought their unique style to American Folk music in 2006 with their formation and have since released an impressive collection of music ranging from mix tapes to full length albums such as Yonder is the Clock or their electro infused Celebration, Florida. With the goal of capturing their intense live performances, the guys are back with Favorite Waitress (Dualtone, June 17). You can listen to, “Lion” the second release from the much anticipated album from the Felice Brothers. Tennis have announced they will release Ritual in Repeat via Communion on September 9. Ritual in Repeat will follow last year's Small Sound EP and 2012's full-length, Young and Old. You can now stream the album's first single, "Never Work for Free" below. The Fresh & Onlys are set to release House of Spirits, next week on the Mexican Summer label. The Fresh & Onlys have quietly turned in their 5th studio album and it lives up to the isolated sound that fans have grown accustom to. The album was written during lead songwriter Tim Cohen's stay at an isolated horse ranch in Arizona, and later recorded at Lucky Cat Studios in the band's hometown of San Francisco.